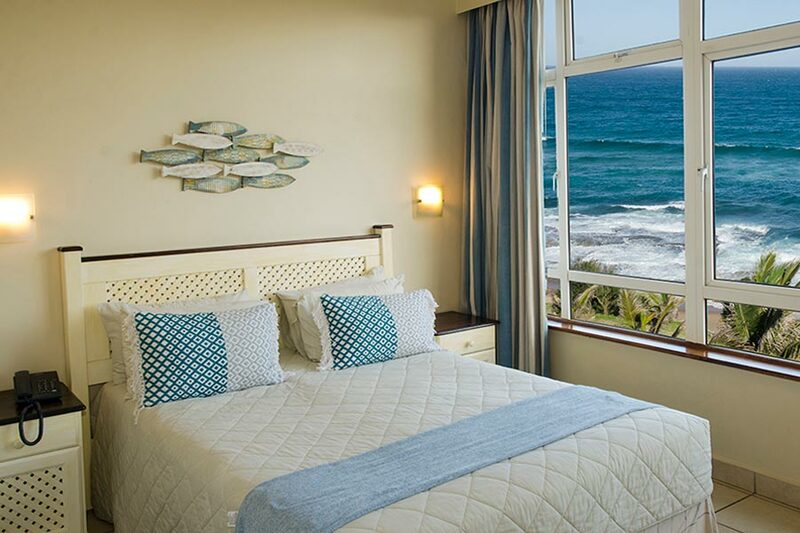 One of the distinctive features of our hotel is the magnificent sea views from every room. Whether your choice is a standard, air-conditioned or deluxe room. 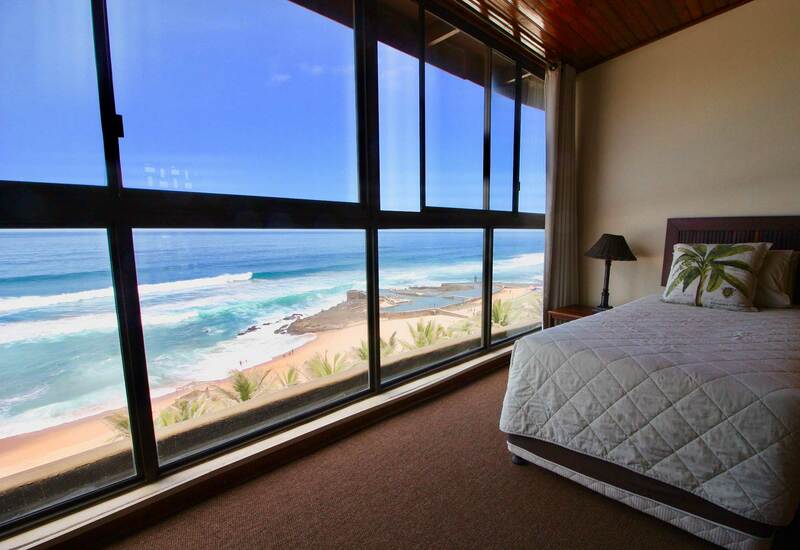 Fall asleep to the sound of the ocean and wake to breath-taking sunrise views. 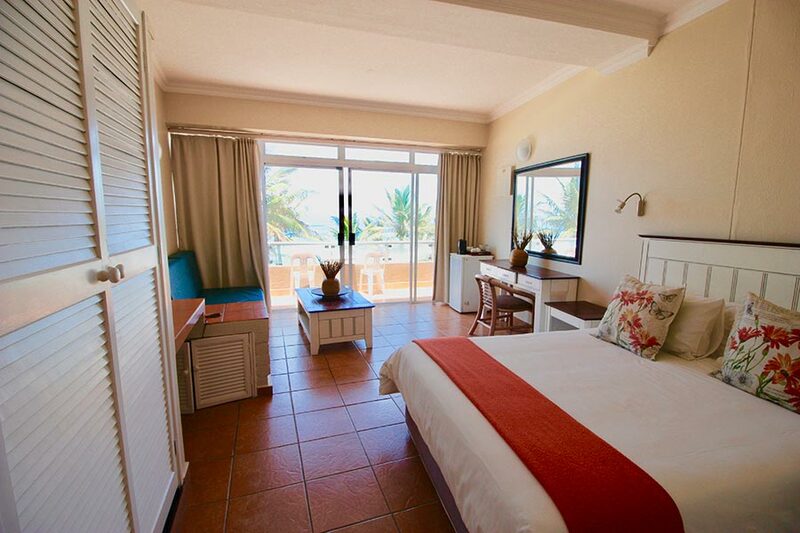 All rooms have en-suite bathrooms, fans, DSTV, Wi-Fi and tea/coffee making facilities. Some of the rooms have fridges. There are fridges available for hire, so do enquire when making your reservation. The top floor family size duplexes with their breath-taking views from the comfort of your pillow, are a good option if you have several adults sharing or have children older than 6. 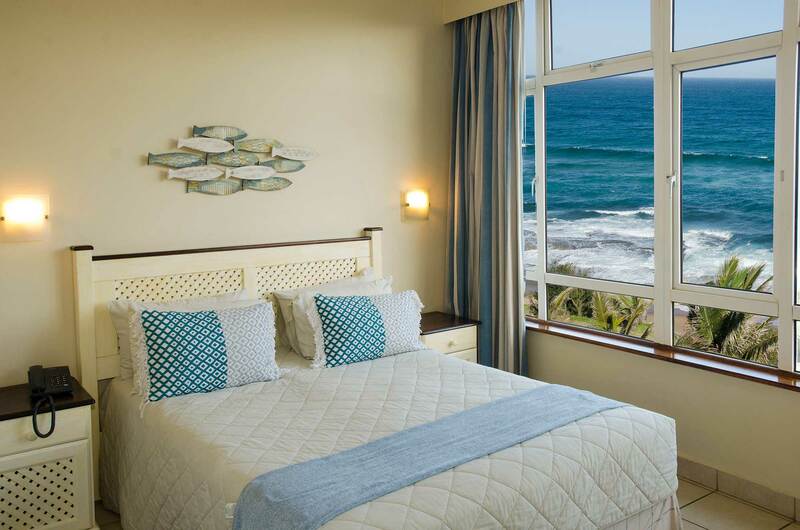 There is a selection of comfortable and stylish en-suite standard rooms, all with spectacular sea views. These are our “green” rooms in that they do not have airconditioning units however the cool ocean breeze and fan is more than enough to keep you comfortable, allowing you to be lulled to sleep to the sound of the sea. Inter-leading room – 2 en-suite rooms with adjoining, inter-leading door – some with balcony & fridge (1 queen and 2 single beds). 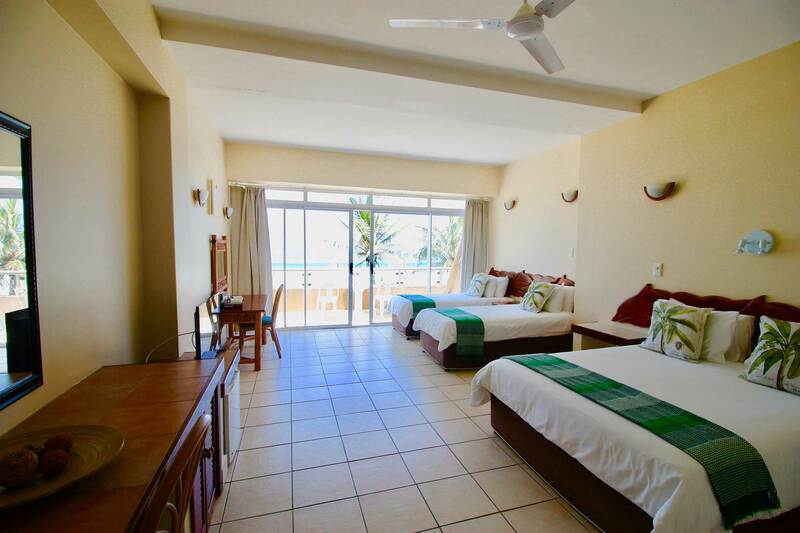 Duplex suites – main en-suite and 2nd bedroom or lounge and TV upstairs – some with fridges. (1 Queen downstairs, 1 or 2 or 3 beds upstairs). Ideal for kids over 6 and sharing adults. Options of comfortable and stylish air-conditioned rooms. 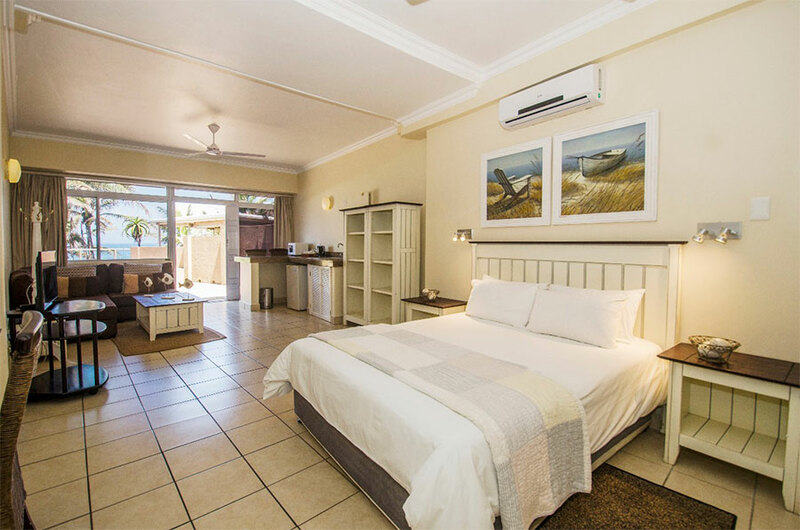 All rooms have spectacular sea views, en-suite bathrooms, fans, air-conditioner, fridge, DSTV, WI-FI and tea/coffee making facilities. Some have balconies. Spacious, well-appointed, double or family , en-suite rooms with DSTV, Wi-Fi, tea & coffee making facilities, air-conditioner and fan, fridge, patio or balcony. Some have kitchenettes.